Theater at the Fort is getting a face lift! If you've driven by or visited the Theater at the Fort recently, you can see there are some major changes happening. Thanks to support from Lilly Endowment, Inc. and the Summer Youth Program Fund capital grant for 2017, we are rebuilding the vestibule on the front of the building. 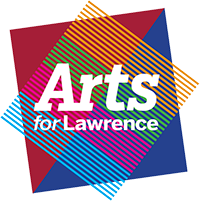 Arts for Lawrence has contracted with a local Lawrence business, Price Construction Group to do the renovation. In the past weeks, P.C.G. has torn down the old vestibule, broken up and removed the old concrete, poured new concrete and has started framing in the new area. The new vestibule will include the ability to hang a marquee on the front and sides of the building. The addition of a new marquee will help bring an awareness to our theater, a great historic asset in the community to benefit all. As you can imagine, purchasing a marquee for a building this size comes with quite a large price tag! Although we have already secured approval from the Architectural Review committee for Fort Harrison’s historic district, and the historic architect for the State of Indiana, we are still working on fundraising for our goal of $23,000. For #GivingTuesday this year, we decided to start a fundraising campaign for the new marquee. So far, we have raised $2,150. This is such an amazing start! If you are looking for a great community cause to donate to, we encourage you to help make a difference in your own community by supporting the arts in Lawrence and the Theater at the Fort. Any amount you are willing to give toward the purchase of the marquee, would be greatly appreciated!